A university dodgeball team has been suspended after members were pictured in a nightclub wearing sick t-shirts emblazoned with swastikas and antisemitic messages. Two men from the Coventry University squad sparked outrage after they were spotted sporting vile messages such as “the Jews deserved it” during a night out. The photographs were taken at Empire in Coventry on Wednesday evening (6/2) before being uploaded to the nightclub’s official Facebook page. The images – which also show one man wearing a white t-shirt with “Judas is a sell-out” written on it – were later reported to the university by the Jewish Society. Coventry University has since confirmed the team has been suspended from the Students’ Union and launched an internal investigation into the matter. 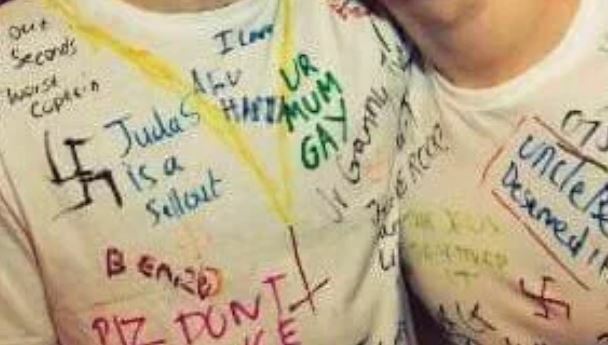 The Coventry University Jewish Society told student news site The Tab : “We were shocked to see such hurtful and hateful antisemitic language written on the shirts of our fellow students. The team has since announced on their Facebook page that “due to unforeseen circumstances,” all socials and training have been cancelled “until further notice”. 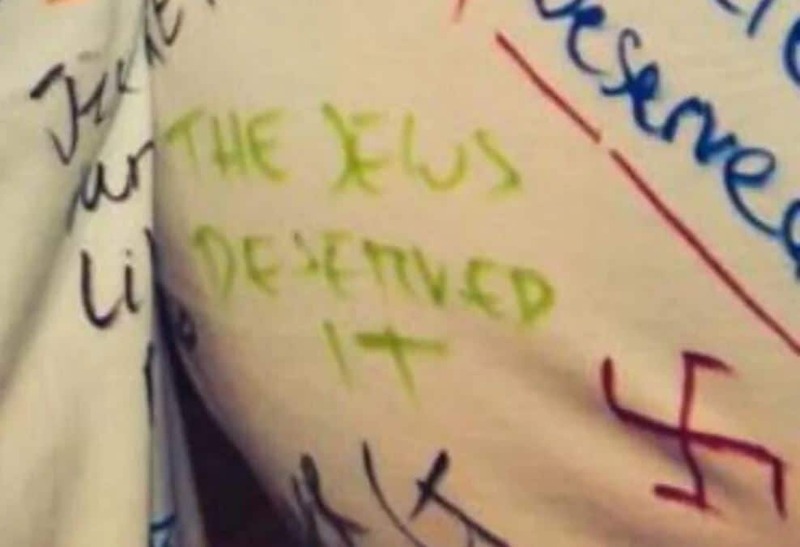 The Union of Jewish Students (UJS) said in a statement: “We are once again dismayed to see another incident of antisemitic language written on t-shirts at a student party. “This academic year we have already seen anti-semitic incidents at ‘white-T-shirt parties’ in Plymouth, Lancaster and Newcastle, all revolving around the Holocaust. The men pictured wearing the t-shirts above and Coventry dodgeball society have been approached for comment. 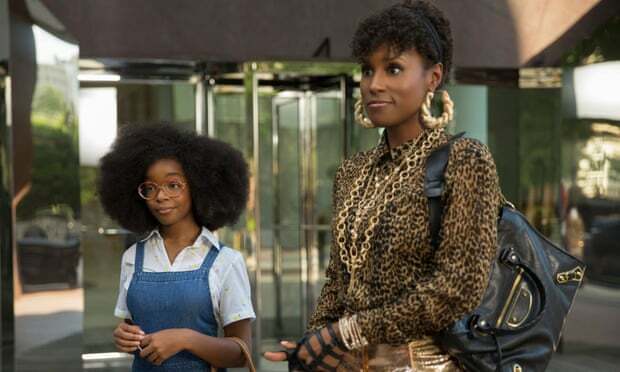 The Jewish Society has spread so much hate that European groups are no longer allowed to celebrate their heritage, despite having hispanic heritage groups, black heritage groups, muslim heritage groups, and jewish heritage groups. How come the Jewish Society isn’t banned for all of its racist and hateful attacks?